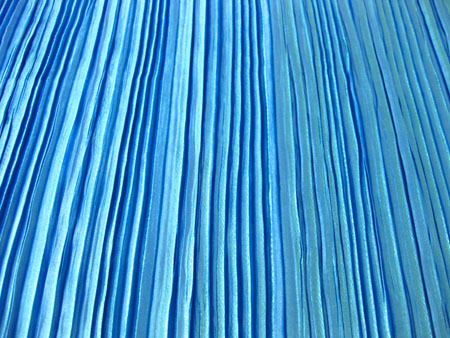 Turquoise lightweight satin with random knife and box pleats. 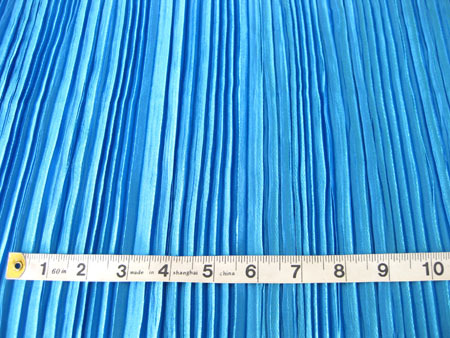 Please be mindful that 1 metre pleated is approximately 1.5-1.7 metres unpleated (stretched out on the selvedge). Email Corinna to enquire about this fabric.